Drains can quickly be repaired with Waxman’s assortment of drain repair products, including chrome, brass and plastic drain assemblies, trap assemblies, waste arms, tailpieces and extensions, and connectors. Waxman drain repair products are available at select retailers nationwide. 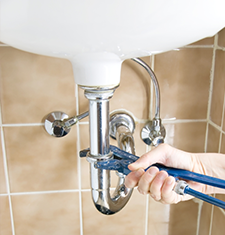 Looking for more detailed information on our drain repair products? Contact us to learn more.